Sterling differentials available for new, used, rebuilt and exchange and replacement parts in stock and available for same day shipping. 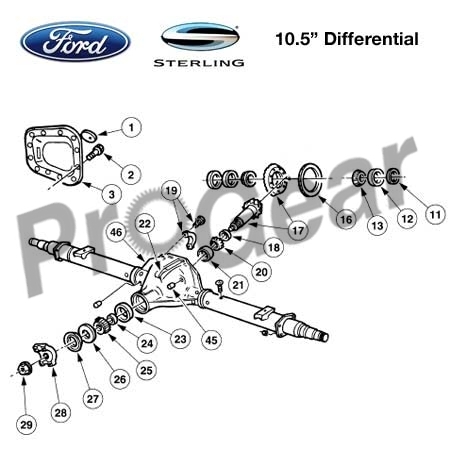 The 10.5″ Sterling Axle is a full floating rear differential currently used in the Ford Super Duty trucks manufactured since 1999. The pinion shaft spline is 31 and the axle shaft spline is 35.